I've been thinking lately that I need to change my life from the inside out. I have been walking around with this broken heart lying heavy inside me, and I have concluded that this just isn't healthy. I mean that quite literally. It isn't mentally healthy, but I think it probably isn't physically healthy either. I do believe in the ultimate goodness of life. I even believe that all the crappy things that come along have a good purpose. They help us to become the people we are meant to become, they help us to accomplish what we are supposed to accomplish, to reach the places we are meant to reach. So if I believe this, why can't I be joyful about it? Today I was watching the Showtime series "The Big C," and the episode was about going to a seminar that teaches those who attend how to be joyful. At one point the woman leading the seminar told those attending to close their eyes and picture a moment of pure joy in their lives. And you know, I couldn't do that. The character in the show pictured various moments of her son's life, and that was surely the first thing that popped into my head also. 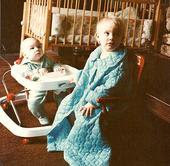 I thought about my children, their births, all the amazingly beautiful moments they have brought to my life. But I realized that I couldn't classify them as pure joy because there was so much just plain fear bound up in it, because the love I felt for them was soooo fierce that wrapped up in it was the sense that if anything ever happened to them, I would die. But ... here I am. Still alive. I must admit, I was lying on the couch this evening, asking myself just how on God's green earth I have managed to survive the things I have when lately much more fleeting things have practically knocked me off my feet. Or perhaps it's just the accumulation, that whenever your heart gets a little broken it awakens all the hurts of all the years it's been beating. Yeah, love is such a joyful thing, and yet it is such a fearful thing. My youngest daughter, who is still recovering from her first badly broken heart, but who is now at least pretty certain she will survive, said the other day that she is actually reluctant to get involved with other people, because having experienced herself what it feels like to have your heart broken, she wouldn't want to do that to anyone else. I thought it was interesting that she was more concerned about the other person's feelings than her own, but I just realized that is because she's talking about casual dating. If your heart is captured, you aren't worrying about the other person. You aren't even worrying about you. Today I was reading a book called "Shelter Me," by Juliette Fay. It's an okay book, but there was a line in there today that just grabbed me. It was, "I don't want to make you scared. I want to shelter you from the elements." Love doesn't want to tease or play games. It wants to make you feel warm and safe and ... well, loved. That's what we need to be able to give in love, and that's what we need to learn to receive. You amaze me with how you encourage and inspire so many people including me even through all the hurt and sadness you've gone through. I love to read your posts. My heart goes out to you, Michaela and your family. 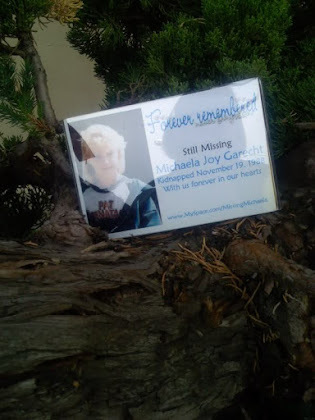 I will always have hope for Michaela and all the missing children to be found. You, Michaela, and your family are in my prayers always. according to me .what you need to have is peace and avoid suffering.It is also not an easy job as you have use to a life of chronic suffering .If you can occupy your time with different responsibilities ,you will get away from pain.when your children were small their responsibilities helped you to continue life . Now as they are big ,you are somewhat relaxed and now you cant control your mind. Dont ever forget that you also have a life and to live it fully. hope one day you will get a positive out come for michaela till then try to live happily. My heart goes out to you. I have followed Michaela’s case off & on over the years. 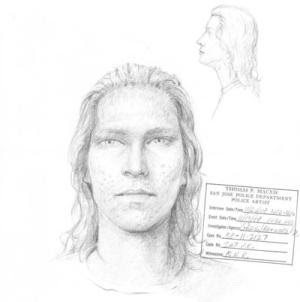 My oldest son was kidnapped in the late 70’s then found year’s later murder. 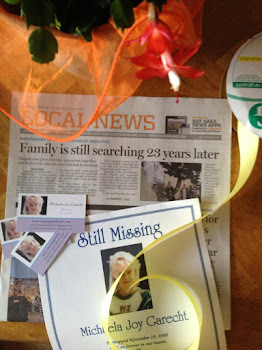 What happen to my son took a toll on my 1st marriage & we divorced five years after our son went missing. I later remarried & had children with my 2nd wife, all of which are now grown. 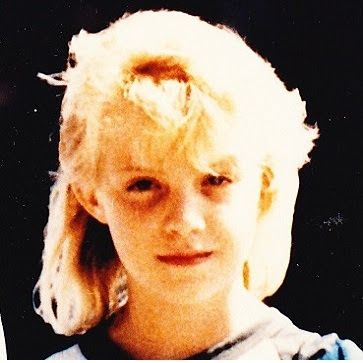 For years I worked with different centers that advocated for the missing children, then for years as an advocate for my murdered son, telling myself and anyone that would listen I had to do it to be an advocate for my son. It was until 20+ years later I realized that all though part of me was doing all of those things was to be an advocate for my son and I had to be ‘his voice’, I had actually been do all those things because I had this unknowing need to do it. It was my way of coping with what had happen. I also had a large about of guilt over it. I was the one who allowed my son to go out to play that day. I made a split decision that day that forever changed my life and his as well has the lives of so many others. Had I not let him go play that day, now of this would have happen. 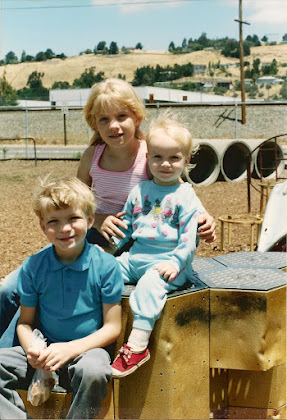 Although all of my children are now grown, happy, healthy, well grounded, I have days when I look back and wonder how different all of our lives would be if I had learned to let go of my guilt and feel joy years ago when they were children. I can see how my guilt and need to be my son’s voice shaped the lives of my own children in such profound ways. As an outsider who has followed your blog for some time. Honestly my heat has gone out to you as a parent, and I have seemed to notice you have struggled with finding a healthy balance. Maybe it’s time to let some things go. I am not suggesting you stop being an advocate or voice for your daughter. Just really let go of some of those feeling you have been carry for so many years. If nobody has ever told you this before, what happen to Michaela is NOT your fault. Sit down with a pen and paper and chart out a map in life that would make you happy joyous and free then do it. Do what you need to be happy and let the rest go. Your family, Michaela included, would want to see you happy and joyous. What happen to Michael was tragic, you still deserve to be happy and have joy in your life. Thank you, Brennan, and everyone else. Honestly, I don't harbor guilt for what happened to Michaela. I have raised five kids to young adulthood and I know that you cannot keep them locked in the house all the time, that it is not wrong to let them go to the neighborhood store with a friend on a Saturday morning. My sadness is actually much larger than what happened to Michaela. It encompasses life and loss in its entirety, grief and sorrow, and particularly when I see those I love hurting. Michaela is just the ultimate example of this, and perhaps it hurts more when I see my other children in pain, because my heart has already been tenderized by this. Or perhaps watching my children hurt would always feel this way. But it doesn't really help them. It would be much more helpful to help them learn to embrace joy, right? Have you read about Steve Carter? He was a missing child for 34 years then literaly found himself on a missing child web site last Oct! Appearently his mother gave him a fake name when he was placed in foster care and he was later adopted. Have you ever explored the idea of Michaela having been taken for some kind of illegally adoption ring? So many people want to adopt healthy white babies/children with blonde hair blue eyes..There are so many cases of adults being brain washed. Even Strong willed people you would never think would possible of being brain washed, that said I think it could be easier to brain wash a child. There is so much in this country and others about children being taken for illegal adoption. I don't recall your addressing this topic before. I was just courious your thoughts on it and if this area has been explored before. Sorry this is of the topic of your post. Have a wonderful evening. I realized before posting my comment the scenarios are different. 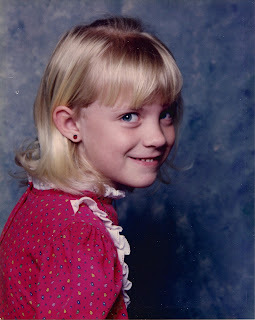 I worked in the adoption field for 30 years. I think typically most people when they think about illegal adoption, they think newborns, infants and toddlers. The truth is sadly there are children who are far older and taller than Michaela that are kidnapped and illegally placed for adoption. Those case are gravely different than Steven Carter's case. I couldn't remember if you had addressed this topic or not and was just courious of your thoughts. Thank You for the reply. While having lunch with Steve today. For some reason it made me think of you and Michaela. Have a wonderful evening. Sharon, wish you peace and joy. You have suffered so much sorrow- you need to step away from it for as long as you can. 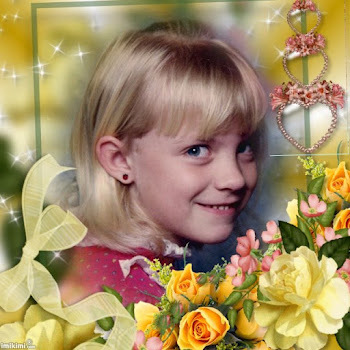 Sweet, dear Michaela is always in our hearts and prayers everyday. For all that you have endured to still have an outlook like this: "I do believe in the ultimate goodness of life. I even believe that all the crappy things that come along have a good purpose. They help us to become the people we are meant to become, they help us to accomplish what we are supposed to accomplish, to reach the places we are meant to reach." I'm floored. Of course I'm not surprised that such sentiments come from you, rather, I wish to be able to adopt such a philosophy in my own life. My admiration for you knows no bounds. Love is both fearful and joyful. A heartbreak of any magnitude can unleash the hurts of years past. It's amazing how I always feel as though you are speaking directly to me....and I know that I'm not the only one who must feel that way. I'm not going to pollute your comment space with my personal story, but as you know I've been having quite the ordeal with CWS here in California. It's an apples and oranges comparison [maybe what I'm describing gets out of the fruit category altogether] and I hope I don't offend you with this-- but in a way I feel as though I've lost my kids too. With Adam in foster care and Tatum 2500 miles away in Memphis with my parents...there is an infinite distance between my children and me. Regardless as to whether or not there is any basis for 'comparison,' this absolutely has been the worst time of my life. I could really take a cue from you when it comes to navigating these cruel situations. Sloane, I was just re-reading your whole story the other day. I think it's horrendous, and something I have some experience with personally and vicariously, through people I know and even clients at work. It's inexcusable, and also terrifying. But you have been very strong, and very intelligent. You've done the smart thing even though it's the hardest thing you could do. I don't at all feel offended if you equate it to my situation, because I know it feels like a kidnapping. You are in the middle of the storm now, but one day hopefully you will see a sense of purpose in all that has happened. I have no doubt that eventually you will be able to be of tremendous help and service to others. Just get you and yours safe first. And remember there are so many of us who are standing behind you, watching always for that good news. Please don't feel like you have to post mine, but I was compelled to share some thoughts. I was reminded of Michaela's disappearance a couple of weeks back when reading about Isabel Celis' disappearance in Tuscon and then came across your blog. 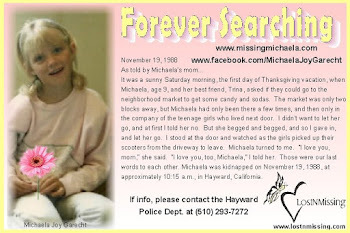 I was 12 when Michaela was kidnapped (we lived in the bay area) and always will remember the sadness and terror on hearing of her kidnapping. Your unwavering faith and commitment to searching and bringing Michaela home is the ultimate manifestation of love. Never lose the hope in God's mercy and love that He will allow this to happen. Your posting of your compassion for humanity and soaking up the sorrow around you..well it seemed to especially resonate. I heard the weariness in your words and it is important and healthy to impart the joy too. But I believe that to impart the joy one must have the ability and desire to feel the depths of love and compassion for their fellow humans and this includes unfortunately the pain and the suffering. Life has handed you this mandate. "...he did not simply listen patiently to the problems they confided in him, ...he would enter deeply into their heart and make the pain, anxiety, and trouble his own. And, then, gradually, the miracle would take place: the transformation of the person. He used to say, 'God performs a miracle when we wholeheartedly participate in the pain of our fellow human beings' "
I quote this not to burden you with philosophy or religion, but to impart hope that your pain and suffering have not been in vain. I believe that in only a way that a Mother can, you are and have been deep in your daughter's heart and have shared her pain albeit in a very different way. And I believe that God's miracle is there...whether it is to bring her home or to have given her strength and comfort during the difficult times. I pray and wish upon your family the very best. And Michaela wherever you are now, from reading this blog I can tell that your Mom's love for you is as unconditional as ever. If you find that you can, bring the miracle of you back to her.